Some people say you can't win a fantasy season during your draft, but you can definitely lose it. As long as you're using Draft Wizard we can assure you you won't lose during your draft – but then comes the full season. With that season comes injuries, pitching and lineup changes, players that underperform their draft stock, slumps, prospect call ups, and all sorts of other fun. We give you all of that in-season advice with My Playbook. This year we're updating some of the core features of My Playbook for fantasy baseball, starting with the dashboard. The My Playbook dashboard is a great place to see all relevant team information in one place: player news (specific to your team), expert notes, articles, and quick access to your podcasts. 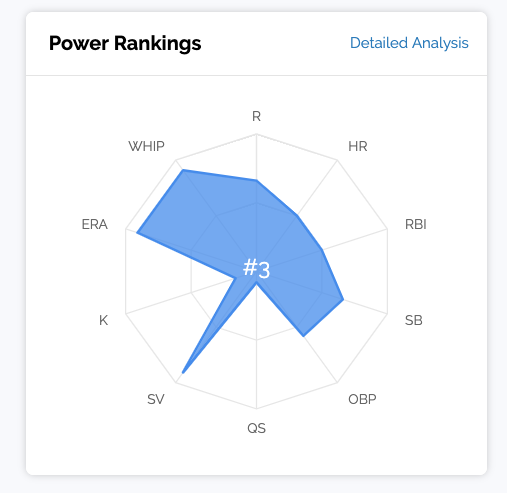 Additionally, you now get quick access to league and power rankings to see how your team stacks up, along with a categorical rankings spider chart to identify your squad's strengths and weaknesses. As you can see, I punted pitching counting stats for saves and ratios... we'll see if that works out. 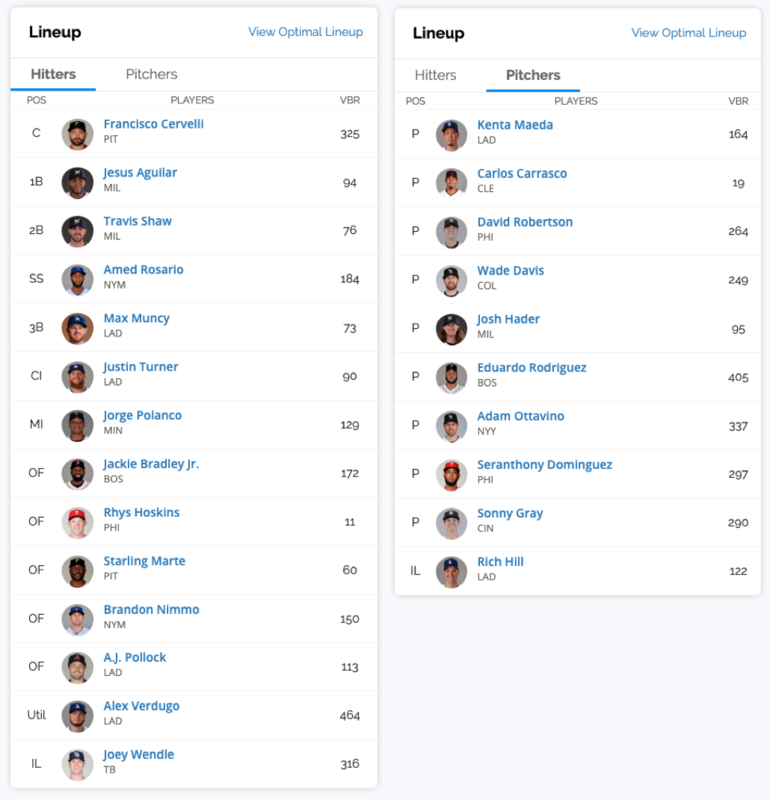 You can also see your team's hitting and pitching lineups, along with VBR (learn more about value based ranking we use in fantasy baseball) for each player. With our new quick team switcher in My Playbook, you can get a quick and powerful overview of each one of your teams. Plus, who doesn't like to read information about their players all day? The My Playbook dashboard is available for all users. Import your team (if you haven't already) and check out the new MLB My Playbook dashboard now.